The WRU have announced that they're not longer going to host Friday night matches in Cardiff, citing (amongst other factors) the inability of transport services to cope. My take on what the WRU said was that it was just difficult for people to get into Cardiff on a Friday evening (i.e. having to take some time off work or finish early etc) rather than the transport system struggling - within the region it actually performs ok with events at the stadia in Cardiff - the worst of the problems occur with getting England supporters along the M4 corridor when they're in town. Sounds like a bad idea in principle to add many thousands of rugby fans into a bustling city centre on an already busy weekend night. Most places would struggle with that, let alone Cardiff Central which is not fit for purpose dealing with those crowds anyway. Have also suggested that 7 out of 8 of the Friday evening matches have been hosted by Wales so time it got shared out. They shouldn't have any 6 nations matches on Friday evenings, there's plenty of time on Saturdays & Sundays.....theres no way it'd happen at Twickenham, residents would object like mad & they're very influential! 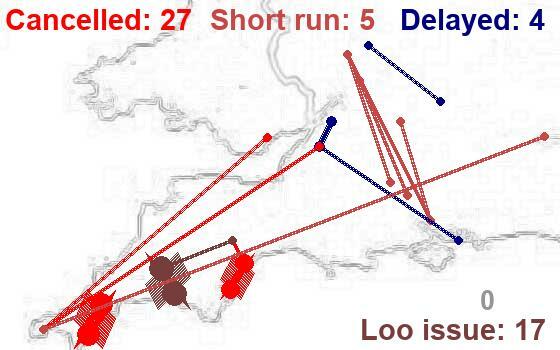 There are numerous reasons why it is a bad idea but part of the transport problem is that there is no gradual dispersal over a period of hours but everyone has to descend on the station at once given its a 10pm finish. I bet the pubs don't like the loss of revenue either, but that's a secondary consideration. I agree with the WRU view that if the pain isn't shared around then there's no good reason why their fans should suffer. RFU have already said no on grounds of transport issues anyway. I think it's a pretty silly idea too, although WRU have said the Friday matches have been very successful for them, I'm sure weekend matches bring a lot more business in to the wider area as people will often make a weekend of it or just stay a bit longer in general.